Rotary E-Club One of Denmark markerede den internationale poliodag, den 24. oktober, med en donation på 1000 kr. til Rotarys kampagne End Polio Now. Beløbet, minus nogle få kroner, stammer fra det billetsamarbejde, e-klubben har med egnsteatret Opera Hedeland. Årets opførelse var Donizettis opera Lucia di Lammermoor. Beløbet blev på poliodagen overført til The Rotary Foundation mærket End Polio Now. Takk så mye for din email. Vær så vennlig og noter at finans-avdelingen vår vil booke denne donasjonen så snart som mulig. Ikke nøl med å ta kontakt om vi kan være behjelpelig med noe annet. Jeg ønsker deg en fin dag videre! E-klubben fortsætter billetsamarbejdet med Opera Hedeland til forestillingen i 2019 til fordel for End Polio Now. Forestillingen til næste sommer på amfiteatret i Hedeland Naturpark bliver Georges Bizets Carmen, som er en af verdens mest populære operaer. Oplev den under åben himmel den 9. 16. eller 17. august. Billetter kan købes over et særligt rotarylink, www.ticketmaster.dk/oh/rotary , som giver et afkast på 10 procent af billetprisen til Rotarys End Polio Now-kampagne. Poliomyelitis (polio) is a paralyzing and potentially fatal disease that still threatens children in some parts of the world. The poliovirus invades the nervous system and can cause total paralysis in a matter of hours. It can strike at any age but mainly affects children under five. Polio is incurable, but completely vaccine-preventable. In 1985, Rotary launched its PolioPlus program, the first initiative to tackle global polio eradication through the mass vaccination of children. Rotary has contributed more than $1.8 billion and countless volunteer hours to immunize more than 2.5 billion children in 122 countries. In addition, Rotary’s advocacy efforts have played a role in decisions by donor governments to contribute more than $7.2 billion to the effort. 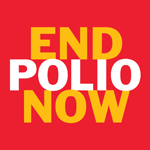 The Global Polio Eradication Initiative, formed in 1988, is a public-private partnership that includes Rotary, the World Health Organization, the U.S. Centers for Disease Control and Prevention, UNICEF, the Bill & Melinda Gates Foundation, and governments of the world. Rotary’s focus is advocacy, fundraising, volunteer recruitment and awareness-building. Today, there are only three countries that have never stopped transmission of the wild poliovirus: Afghanistan, Nigeria and Pakistan. Just 22 polio cases were confirmed worldwide in 2017, which is a reduction of more than 99.9 percent since the 1980s, when the world saw about 1,000 cases per day. The polio cases represented by the remaining one percent are the most difficult to prevent, due to factors including geographical isolation, poor public infrastructure, armed conflict and cultural barriers. Until polio is eradicated, all countries remain at risk of outbreaks. Rotary will raise $50 million per year over a three-year period, with every dollar to be matched with two additional dollars from the Bill & Melinda Gates Foundation. These funds help to provide much-needed operational support, medical personnel, laboratory equipment, and educational materials for health workers and parents. Governments, corporations and private individuals all play a crucial role in funding. More than one million Rotary members have donated their time and personal resources to end polio. Every year, hundreds of Rotary members work side-by-side with health workers to vaccinate children in polio-affected countries. Rotary members work with UNICEF and other partners to prepare and distribute mass communication tools to reach people in areas isolated by conflict, geography, or poverty. Rotary members also recruit fellow volunteers, assist with transporting the vaccine, and provide other logistical support. Rotary has a growing roster of public figures and celebrities participating in its “This Close” public awareness campaign, including Bill Gates, co-chair of the Bill & Melinda Gates Foundation; actresses Kristen Bell and Archie Panjabi; WWE superstar John Cena; supermodel Isabeli Fontana; Nobel Peace Prize laureate Archbishop Emeritus Desmond Tutu; action movie star Jackie Chan; boxing great Manny Pacquiao; pop star Psy; golf legend Jack Nicklaus; conservationist Jane Goodall; premier violinist Itzhak Perlman; Grammy Award winners A.R. Rahman; Angelique Kidjo and Ziggy Marley; and peace advocate Queen Noor of Jordan. These ambassadors help educate the public about polio through public service announcements, social media and public appearances.